Milan is an exciting city full of culture, fun and fashion. Many people go to the northern Italian city to see the incredible cathedral, shop in the famous fashion district, go to a football match and of course view Da Vinci’s Last Supper masterpiece. If you want to do the same, we have found best places to stay in Milan by area. From refined neighbourhoods to those with vibrant nightlife, there is a district in Milan for every kind of traveler. This is our guide to the best hotels in Milan Italy. Here is a summary of the best accommodation in Milan by district. Read the article for more details on the best area to stay in Milan and things to do in each district. Hotels in Milan city centre are the perfect choice if you are visiting the city on a quick trip to see the city’s popular highlights – the Milan Duomo and Galleria Vittorio Emanuele II. If you are in Milan to shop this is also the place to be. The Fashion District is right in the heart of the city centre. Just steps from the Duomo and shopping district, The Carlton Baglioni Hotel is consistently recognised as one of the best 5 star hotels in Milan. Overlooking Milan’s famous shopping street Via della Spiga, it’s the place to stay if you want to soak up the city’s fashion forward vibes. Make sure to have your morning coffee at renowned Caffè Baglioni. Room Mate Giulia is one of our favourite hotels in central Milan. Elegant and cosy at the same, this small hotel is close to Milan’s major attractions and just steps from the Duomo. The generous sized rooms include a coffee machine and slippers and are perfect for lounging in after day of sightseeing. Well known for friendly and professional staff, this hotel also has a fitness room and hammam. The Romana Residence hotel is a great value 4 star hotel in Milan city centre. With larger family rooms and a central location this hotel is a great value choice for families wanting to stay in central Milan. The hotel serves an American style breakfast each morning and is close to Crocetta metro station and a tram stop. The Duomo and historic center are a short walk from the hotel. For the ultimate in luxury and flexibility, the Suite Milano Duomo apartments are a great choice in the centre of Milan. Choose from a range of apartments with kitchenette close to the Duomo and Milan shopping district. Many visitors to Milan never get further than the centre and it is easy to see why. With grand buildings, some of the world’s best shopping and countless cafes and restaurants, it’s the perfect location to get a taste of the city. One of the oldest districts in Milan, Navigli (Italian for canal) is known for its series of canals, great restaurants and nightlife and fabulous monthly antique market. From here you reach the city’s major attractions by tram or metro. Navigli is a fun place to stay if you are visiting on a Milan city break and want to soak up the city’s atmosphere. Thanks to the many bars and restaurants lining the canals, it is the best area to stay in Milan for nightlife. Housed in a former perfume factory, Magna Pars suites is in the heart of Milan’s creative district. Conveniently located just a short walk from Porta Genova station, the hotel is renowned for its impeccable design and modern spa. Elegant and roomy suites overlook a serene central courtyard and modern furnishings and amenities. Staying at Magna Pars is a unique and luxurious experience. Make sure to enjoy aperitivo on the terrace. A unique boutique-style hotel, each of the 32 rooms at the Yard Milano have been decked out in vintage sporting memorabilia. Guests enjoy the warm, and personalized service, a late check out of 12pm and take advantage the hotel’s packing and unpacking services. The hotel bar is a favorite place to relax over a drink at the end of the day close to the Naviglio Grande. Yard Milano is a pet friendly hotel that also has a private cinema room. Rates include a continental breakfast. Art Hotel Navigli is a good option for families wishing to stay in the Navigli area. The hotel offers several large room types that feature fluffy bathrobes and slippers and a coffee machine. An American style buffet breakfast is served daily. There is also a gym on site. Metro and tram stops to central Milan are a few minutes walk from the hotel and there is paid parking on site. 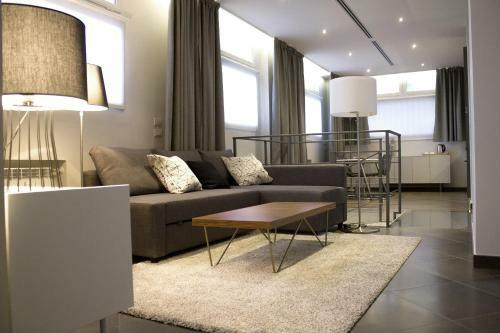 If you need some extra space, this 2 bedroom apartment in the Navigli district has a living room perfect for lounging. Furnishings are modern and tasteful and the apartment has a flat screen tv and airconditioning. There is a small supermarket and wine shop close by so you can stock up on essentials. Access to central Milan is by tram and there are plenty of bars and restaurants nearby. Eating out is one of the best things to do in Navigli. The area comes alive at night with locals and tourists visiting the restaurants and bars along the canals. During the day, explore the area’s unique character, art, vintage and design stores. Lovers of art and design will enjoy staying in the Brera district just north of the city centre. Home to dozens of galleries and design houses, Brera is also the place to stroll down cobbled streets in search of hidden bars. If your shopping style is browsing boutiques for unique gifts and clothing, there are hundreds in Brera. Bulgari Hotel Milano takes its design cues from the fashion house of the same name. Sleek, modern and impeccably designed, this is the hotel to be seen in during Milan’s signature fashion and design events. Rooms overlook the hotel garden or peaceful courtyard and feature walk in closets and Travertine marble bathrooms. Make sure to spend some time in the elegant aperitivo bar. A beautifully restored 19th century building is home to Palazzo Segreti, a small boutique hotel between the Duomo and Castello Sforzesco. This charming hotel has comfortable and stylish rooms featuring modern design elements and a convenient location near Cairoli Metro stop. The friendly staff are happy to recommend the best of the many local restaurants. Hotel Manzoni is a classic hotel in a quiet side street of the Brera district and close to Milan’s famous fashion shopping streets. Parquet floors, marble bathrooms and comfortable beds are features of the hotel’s rooms. Suites at the hotel are suitable for families and kids under 5 stay free. It is a just short walk to the Duomo via the fashion district from Hotel Manzoni. Just minutes from Moscova station, Brera Loft apartment is a stylish and modern studio apartment perfect for up to 5 guests. 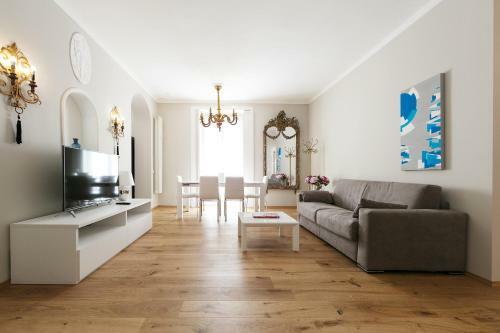 Found in a great location in downtown Milan, the apartment is close to Sempione Park and Sforzesco Castle. A kitchenette and washing machine are provided for your convenience. Tip – Explore the many cafes and restaurants close by or shop at the local providores. Elegant Brera is close to many of Milan’s best attractions as well as many boutiques and galleries. Staying close to Milan’s central station is a good idea if you are planning to use the city as a base to visit Lake Como or you are traveling by train to other destinations in Italy. The station is to the north of the historical centre which is a short metro ride away. The Hotel Principe di Savoia holds the crown of best luxury hotel in Milan. With classic style in keeping with its 1920s heritage, this 5 star hotel also boasts an indoor pool and spa. Rooms are decorated in classical elegant style and you will find Acqua di Parma toileteries in your bathroom. Part of the Dorchester Collection of hotels, the Hotel Principe di Savoia epitomises old world luxury. Just minutes on foot from Milan central station, NYX is one of Milan’s coolest hotels with murals and art pieces featured throughout. Rooms have a sleek and modern design and all have soundproofing, air conditioning and flat screen televisions. A generous breakfast buffet is served daily and service at the hotel is attentive thanks to the friendly staff. Tip – head to one of three rooftop bars to enjoy views of the city. This modern hotel is close to the station is popular with business travelers and families. Rooms at Glam Milano are spacious and soundproofed. Some have balconies with views of the beautiful Milan Centrale building. There are several suites suitable for family groups. You’re only a short walk from the station making this hotel one of the best places to stay in Milan if you’re only spending a short time in the city. Larger groups enjoy this 3 bedroom apartment 15 minutes walk from the central station. The apartment is decorated in modern and elegant style and has a washing machine and kitchen with a dishwasher and oven. Milan attractions including Sforzesco Castle and the fashion district are close by. Milano Centrale station itself is worth taking some time to explore. One of Europe’s largest train stations, hundreds of thousands of passengers transfer through the station every day. This area of Milan is largely a transit zone and is well served by excellent transport links. It is not known for great restaurants or nightlife. There are several decent take away outlets and a pharmacy inside the station. The Duomo is 3 stops by Metro while the church of Santa Maria delle Grazie where you can view Da Vinci’s Last Supper is 20 minutes travel on Metro line 2. The area around Castello Sforzesco and Corso Magenta is close to the city centre, has excellent transport links and a relaxed yet sophisticated vibe. Hotels in Castello offer better value than those in the historic centre making this area one of the best places to stay in Milan. Castello is the place to stay if seeing Leonardo Da Vinci’s Last Supper is one of your main reasons for visiting Milan. The church where the painting is found – Santa Maria della Grazie – is in this area. Milan’s opera heritage is reflected in the room design at the Milano Scala. Hung with rich drapes, rooms have an opulent feel and have all the modern conveniences you expect at a 4 star hotel. The hotel is close to La Scala theater, a 5 minute walk from Cairoli Castello Metro and a short walk to the Duomo. Enjoying a quiet position on a small side street, Hotel Milano Castello is a popular choice for travelers wanting to stay close to central Milan. The hotel has large modern rooms and a private garden where guests can relax. Evening drinks and a light buffet are served in the bar each evening. It is an easy walk from Hotel Milano Castello to the Cairoli Metro and Milan’s main attractions. Una Hotel Cusani’s great location and friendly and efficient staff ensure many of their customers are repeat visitors. Rooms are decorated in modern classic style and are comfortable with free toiletries and bathrobes provided. Some have views of the castle. Una Hotel Cusani has a 24-hour reception and private parking is available on site. 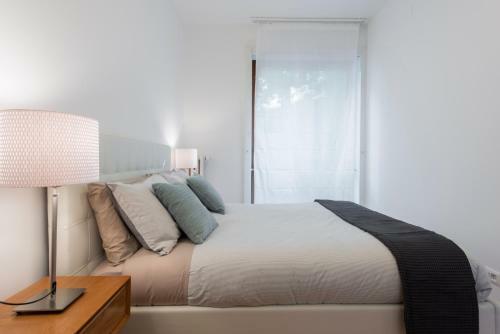 Need some extra space but want accomodation close to central Milan? Camperio House has a range of stylish apartments and suites to suit parties of 2 to 4 people. The apartments are close to La Scala and Milan’s shopping district. Suites have a kitchen if you wish to self cater or you can take advantage of the daily breakfast buffet and hotel restaurant. Daily cleaning and linen changes are included in the room rate. The main attraction in Castello is of course Da Vinci’s Last Supper at the Renaissance church Santa Maria delle Grazie. But there is plenty to do here if you are interested in discovering more of Da Vinci’s Milan and the local food scene. Need an airport hotel in Milan? If you are flying in or out of Malpensa airport this is a good option if you are arriving late or departing early in the morning. The airport is 50 kilometers from central Milan and the roads are often heavily congested. 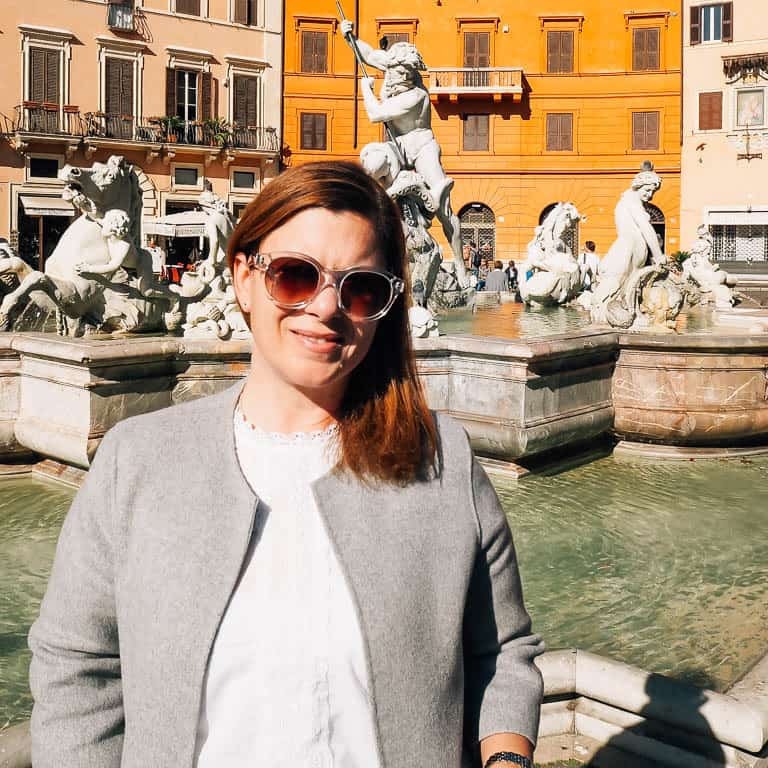 If you are staying in Milan for a day or two, check out our Milan city guide for itineraries and things to do.Traveling beyond Milan to the rest of Italy? Here are our top articles on making the most of your trip.